15 Inch L x 15 Inch D x 48 Inch H Single Tier Welded Steel Locker in White These designer steel lockers are built to last and feature cool colours that kids and teens will love. Great for storing school supplies, books, back packs, clothes, shoes and much more. All lockers are Greenguard Certified. 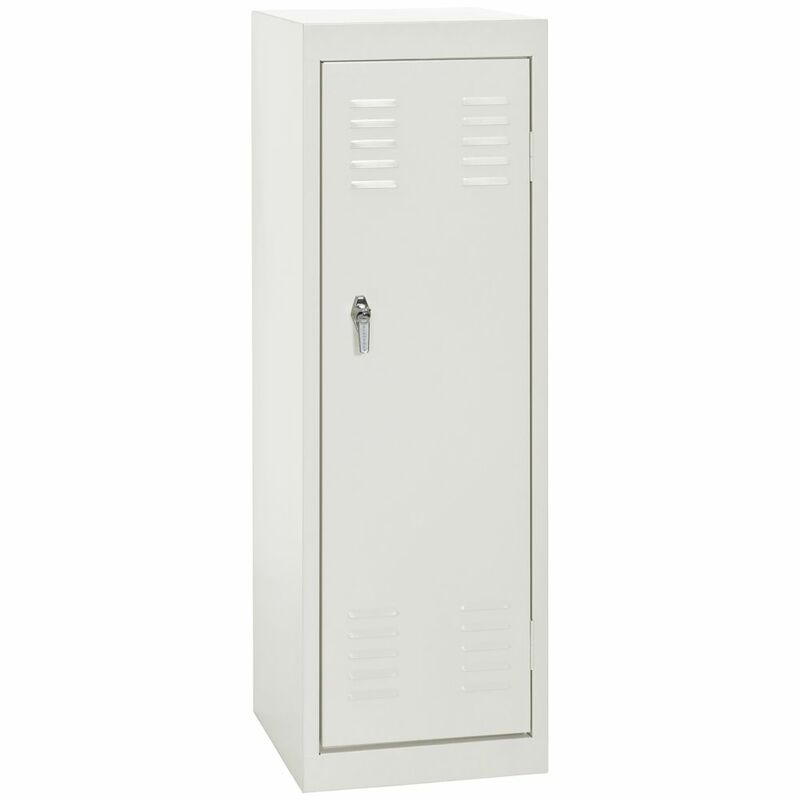 15 Inch L x 15 Inch D x 48 Inch H Single Tier Welded Steel Locker in White is rated 2.0 out of 5 by 1. Rated 2 out of 5 by SAM20 from Could not believe it! I ordered this twice. First time, the hinge was broken. Second time, there was a crack at the top. I don't know how the metal was cut but it looks like someone stabbed it with a knife. I needed the locker for an outdoor employee bathroom so I didn't want to go thru the returning process again!